It looks like it will be at least several more months before Walt Disney World fully rolls out its MyMagic+ billion-dollar plan to get visitors planning more of their trips in advance, even though all of its resort hotels currently are participating in the new program, the Orlando Sentinel reports. The entertainment giant hoped to fully roll out MyMagic+ before the end of the year, but Walt Disney Parks & Resorts Chairman Tom Staggs said in a statement that the rollout schedule was designed to be flexible and that modifications are being made based on guest feedback. 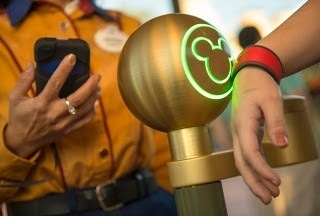 MyMagic+ includes a new reservation system that allows guests to book ride times weeks before their vacations and includes microchip-embedded MagicBands that can be used as an all-in-one park ticket, hotel room key and to purchase items in the theme parks. Burbank, Calif.-based Walt Disney Co. (NYSE: DIS) operates the Magic Kingdom, Epcot, Animal Kingdom and Disney’s Hollywood Studios theme parks in Orlando. As usual, you are on top of all the latest info on Disney. Thanks.